Dr. Chatmon's research interests include, but are not limited to mentoring in nursing education, tools/initiatives to increase diversity in nursing, mental health in the Black community, sexual assault in mental health patients, and adult learning theory. 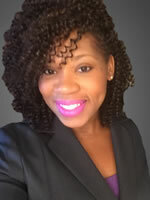 Benita Chatmon is an Instructor at LSU Health-New Orleans School of Nursing and a Certified Nurse Educator. She received a Bachelor of Science (BSN) in Nursing in 2007 and Masters of Science in Nursing Education in 2010 from Southern University and A&M College in Baton Rouge, Louisiana. She would later receive her PhD in Education with a focus in nursing education in 2016 at Capella University headquartered in Minneapolis, Minnesota. She recently got certified as a nurse educator through the National League for Nurses (NLN). Dr. Chatmon is the Course Coordinator for the Mental Health Practicum course for both the traditional and accelerated BSN programs. In addition, she is course faculty in the Mental Health theory course, as well as the Issues in Professional Nursing course. Dr. Chatmon teaches across all the undergraduate programs to include the RN-BSN track. In addition, Dr. Chatmon is a certified peer reviewer through Quality Matters. Dr. Chatmon has extensive experience in medical-surgical nursing, mental health nursing, nursing education, and nursing leadership. She currently serves her academic community as the chair of the Faculty Organization Council, a member of the Curriculum committee, a member of the Administration council, and a member of the Undergraduate Academic Council. In addition, she belongs to several LSU Health-NO Taskforce that entails research, policy review, and interprofessional education. Furthermore, she represents the school of nursing as a member of the LSU Health-New Orleans Faculty Senate and serves on the Children’s Evidence-based practice and research Committee. Dr. Chatmon currently serves as Undergraduate Counselor for Epsilon Nu Chapter, Sigma Theta Tau International (STTI) Nursing Honor Society, as well as chair of the membership committee, STTI. She also serves as the membership committee chair for Louisiana State Nurses association. She continues to maintain active membership in several nursing professional organizations, such as American Nurses Association, National League for Nurses, National Black Nurses Association, and Association of Black Nursing Faculty, etc. Dr. Chatmon was inducted into the Louisiana Great 100 Nurses, the 2017 class.